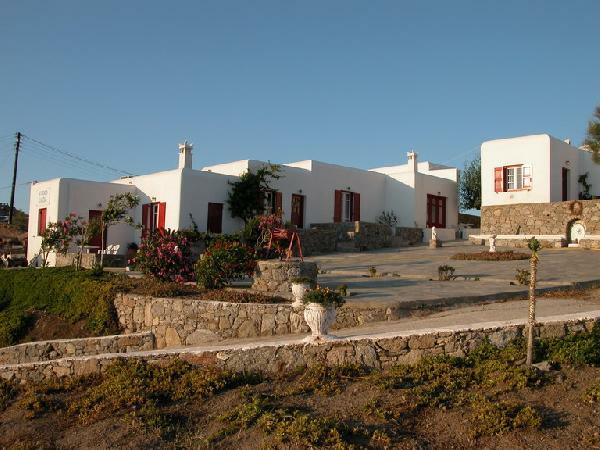 Situated on the southwestern side (near Ornos) of Mykonos, only 3 kilometers from the center, you will find ILIADA STUDIOS. This complex of "self-catering" studios is truly picturesque with beautiful views of the Aegean Sea and of spectacular sunsets. The studios are comfortable and tastefully furnished. Each studio consists of twin beds, air conditioning, closet space with a dresser and a kitchen with fridge. There is a custom built-in booth with a table for dining. For your convenience, there is continuous running cold and hot water and a private bathroom/shower. All the bedrooms have a television set and a private terrace. The grounds on which the studio complex rests is large and beautifully landscaped. Parking is ample and available free of charge for the guests. Rates are dependent on season and duration of stay. ILIADA STUDIOS operates from April ntil end of October. Early bookings are highly recommended. Είστε ιδιοκτήτης ή διευθυντής στο ILIADA STUDIOS; Εγγραφείτε τώρα για δωρεάν εργαλεία, που μπορείτε να χρησιμοποιήσετε για να βελτιώσετε την καταχώρησή σας και να συνδέσετε την ιστοσελίδα σας και το σύστημα κρατήσεών σας.